These are the current artists in residence at Sacatar. 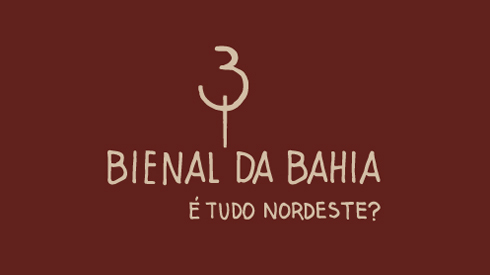 Three of them are former Sacatar Fellows returning to Bahia for a second residency. 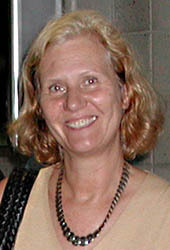 Ersi Sotiropoulos, a Greek writer, came to Sacatar in 2006. Dany Leriche and Jean-Michel Fickinger, French photographers, participated in the project called ‘Muitos Destinos / Uma Só Bahia,’ at the time of the celebration of the Year of France in Brazil in 2009. New partnerships between Sacatar and Brazilian institutions have brought three other Fellows to Sacatar for the first time. Bel Falleiros, a visual artist from São Paulo, has been awarded a residency in partnership with CCSP — Centro Cultural São Paulo. Marielson Carvalho, a writer from Salvador, Bahia, comes to Sacatar through a partnership with the state cultural agency FUNCEB — Fundação Cultural do Estado da Bahia. Tthe Ecuadorian visual artist Anthony Arrobo received a residency prize through the 9th Bienal do Mercosul. 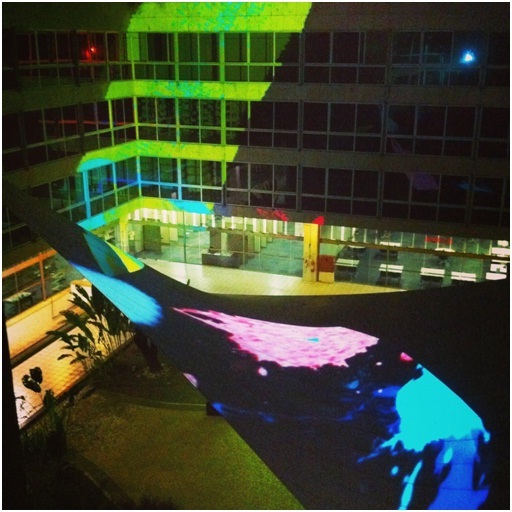 Sacatar is also hosting a video artist through a partnership with VideoBrasil, which is held biennially in São Paulo. Basir Mahmood, a Pakistani artist, received this residency prize at the 18th Festival of Contemporary Art SESC_Videobrasil. 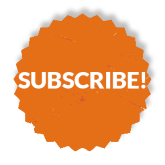 This new group of Fellows represents a new era at Sacatar and its constant search for serious partners who develop high-quality programs and who help maintain the residency program through co-funded Fellowships. Unfortunately the group of residents scheduled for this session is not complete. 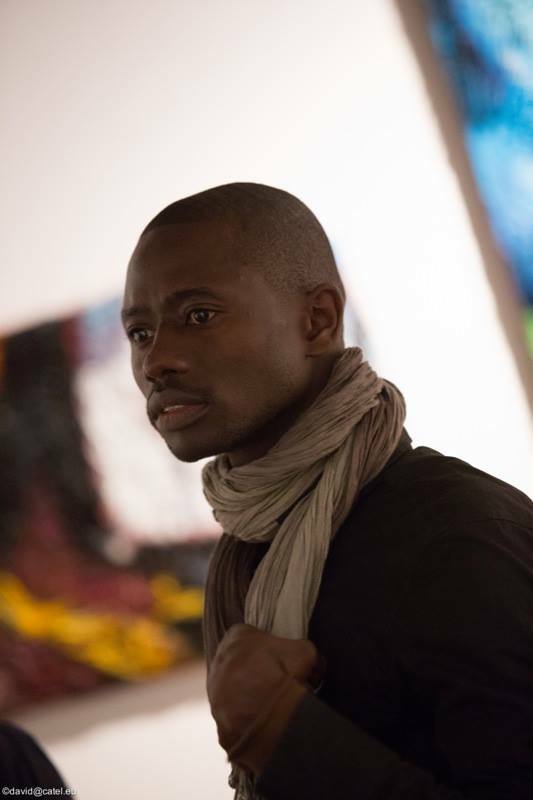 The Malian videoartist Bakary Diallo, who was scheduled to come to Itaparica for this session through our partnership with VideoBrasil, has been confirmed as one of the victims of the crash of Air Algerie flight AH5017 on July 24, 2014. He was en route to his Sacatar residency. One of Bakary’s dreams was to come to Itaparica for this residency session and the Sacatar family is extremely saddened by the news of his tragic death. Sacatar hosted six Fellows in the May-July residency session. These residents experienced the festivities of São João throughout the month of June, attended candomblé and egun ceremonies — religious practices brought to Brazil by African slaves — and were in Brazil for the World Cup. CÉCILE MARTIN, a Canadian architect and visual artist, worked primarily with photography during her residency, conflating through superimpositions the intuitive self-taught architecture of Itaparica and the spontaneous accretions of mollusks found on the beach. These compelling images will be included in upcoming photography exhibitions in Salvador and Montréal. CRISTINA MEGÍA, a painter from Granada, Spain, learned about contemporary and traditional painting in Bahia. Given the time constraints and the labor intensive manner in which she works, she produced dozens of small imaginary portraits of the people of Bahia and undertook several small-scale oil paintings. EUN JUNG CHOI (Korea) and GUILLERMO ORTEGA (Mexico), choreographers based in Philadelphia, USA, came to Sacatar through a partnership with the Dance UP / Philadelphia. During the session, Eun Jung and Guillermo worked on dance videos to be fully edited after the residency session. A preview screened during Open Studios, along with live improvisations with dancers from the federal university dance program in Salvador. JONATHAN PFEFFER, an American composer, worked on new pieces influenced by Brazilian music. Jonathan worked with the Camará Ensemble of the Universidade Federal da Bahia (UFBA). This partnership resulted in the new composition, Gold to Lead, which premiered in the auditorium of the Escola de Música da UFBA, Salvador, Bahia, Brazil, on July 24. NIKI PASSATH, an Austrian visual artist, eschewed the high tech materials he uses in the robotic work he creates in Austria and worked with available resources, such as bones, cord and sticks, to create prototypes for sculptures. Niki also produced around one hundred self-portraits, hand-drawn on delicate rice paper and based on collaged ‘selfies’ he generated on his laptop. In partnership with the Museum of Modern Art of Bahia (MAM-BA) and the Fundação Hansen Bahia, the Instituto Sacatar brought fourteen artists and curators between March 17 and May 12 to create works for the Third Biennial of Bahia. The Biennial opened at the end of May and ran through September 7. Two of these artists stayed at the Instituto for the full eight-week residency session. Some came for as short as five days; others for as long as seven weeks. 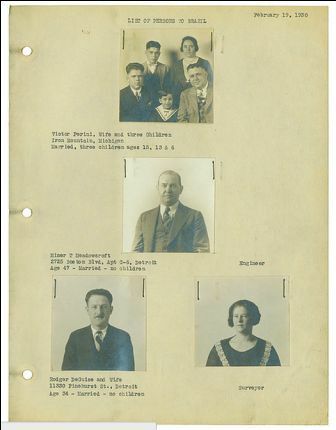 Completing this group of residents was the photographer KAROLINA KARLIC (USA), who came to Sacatar through the Cultural Exchange International Program of the Los Angeles Department of Cultural Affairs. Brazil hosted the FIFA World Cup 2014, 64 years after hosting it for the first time, in 1950. Brazil was celebrating. Salvador was celebrating. Thousands of tourists from all countries that were playing in the tournament traveled to the twelve cities that hosted soccer matches during the World Cup. Salvador was one of the host cities. The Farol da Barra, Pelourinho, and, of course, the newly opened Arena Fonte Nova were the meeting spots for the soccer fans in Salvador. It was in this special period that Sacatar had the pleasure to welcome another group of artists in residence. Taylor Van Horne — President of the Instituto Sacatar — and Mitch Loch — President of Sacatar Foundation — were in Itaparica too. Taylor and Mitch took advantage of being in Brazil to attend several matches in Salvador. They also went to Natal where they saw the first match of the USA team, which beat Ghana 2 x 1. Sacatar brings artists from around the world to spend eight weeks in Bahia, Brazil. Most of our local staff, however, have never left the Brazilian state of Bahia. So starting several years ago, each year we award the Sacatar Prize to one of the employees of the Instituto, inevitably taking them on their first airplane trip to a place within Brazil but far from Salvador, Bahia. This year, one of our security guards, Anderson Gomes, traveled with the founders Mitch and Taylor to São Paulo, Brazil. 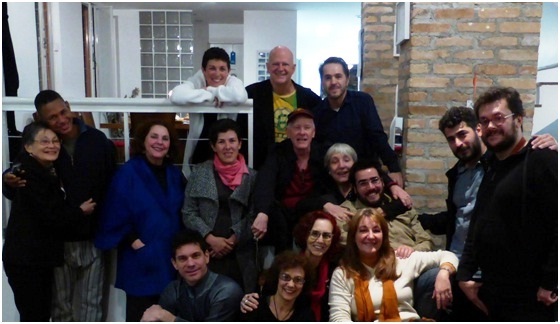 In addition to seeing the principal tourist sites, the three attended a party in the beautiful home of ANA TEIXEIRA (Brazil, 2011) who hosted a reception for many of the former Sacatar Fellows who live in São Paulo. 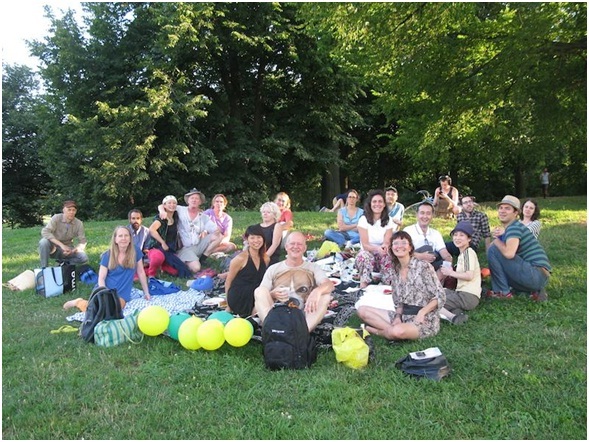 With the assistance of former Fellow JANE COFFEY (USA, 2001, 2004, 2010), the founders of the Sacatar Foundation — Mitch Loch and Taylor Van Horne — invited all the former Fellows living in the area to a picnic in Prospect Park in Brooklyn, New York on August 9. Artists traveled from as far away as Montreal and Philadelphia, including artists from Sacatar’s very first session in 2001 to artists from its most recent session in July 2014. Former Fellows JACKI MCINNES (South Africa, 2010), KITSO LELLIOT (Botswana > South Africa, 2012) and CELIA DE VILLIERS (South Africa, 2004) celebrated Taylor’s birthday on September 5 in Johannesburg. Completing the party were Mitch, Kris van’t Hof from the Royal Academy of Art in Antwerp and Jacki’s husband Ant. Former Sacatar Fellow ANA VALENTINA MURCH (USA, 2004), a teacher and artist known for her installations that brought beauty and light to impersonal public spaces, died on March 26 in San Francisco after a battle with cancer. She was 65. The following is an excerpt from the obituary written by Julian Guthrie, a San Francisco Chronicle staff writer. “Ms. Murch, long interested in the sounds of water and wind and in the way light reflects, was working with her husband, environmental artist Doug Hollis, on six large public commissions when she died. The commissions include a work to open this summer at San Francisco General Hospital’s new trauma center, where Ms. Murch created linear seating pieces and lighting for the plaza, and at a new light rail extension crossing the Willamette River in Oregon. Anna Murch was born in Scotland and grew up in London. She graduated from the University of Leicester with an art degree, earned a postgraduate degree at the Royal College of Art in London, and then earned another degree at the Architectural Association in London, where she did experimental work with light and kinetic projection onto structures. She moved to the Bay Area in 1976 to be a part of the vibrant art scene and had a live-work studio at Project Artaud. She began teaching at the San Francisco Art Institute and later at UC Berkeleyand at Mills College, where she became tenured. 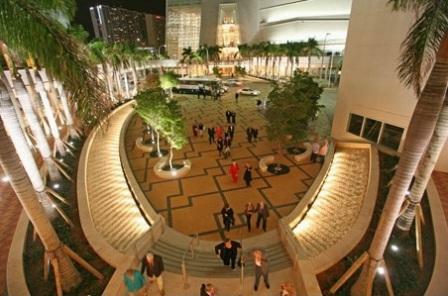 One of her better-known projects was done at a performing arts center in Miami, where she helped create an oval-shaped public plaza characterized by inclined waterfalls that had a changing, wavelike surface. ALICE MICELI (Brazil, 2011) is one of the artists featured at the Prêmio PIPA exhibition at the Museu de Arte Moderna do Rio de Janeiro, Brazil, with a series of pictures recently photographed inside Cambodia, in which she explores areas containing minefields. The exhibition runs from September 6 through November 16. 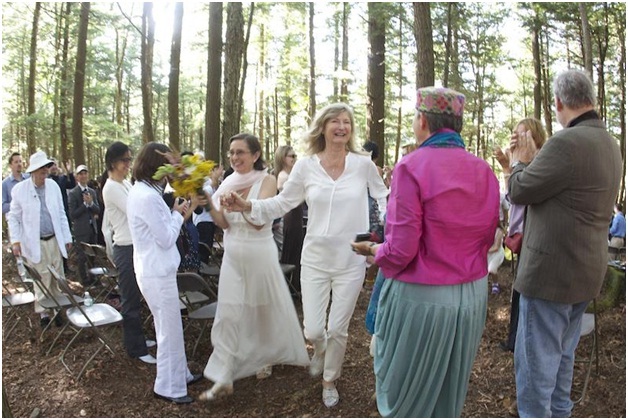 CHRIS BURRILL (USA, 2002) married Bernadette Grosjean on August 2 at their farm in upstate New York. Mitch Loch and Taylor Van Horne had the honor of attending the ceremony. CLAUDIA JOSKOWICZ (Bolivia > USA, 2012) is currently in residence at the Cité des Arts in Paris, France. Her video Vallegrande, 1967, was recently acquired by the Guggenheim Museum in NY for its collection and screened from July 12 to August 5 in the museum’s New Media Theater as part of the exhibition Under the Same Sun: Art from Latin America Today. The exhibition América Latina 1960-2013 has travelled from the Fondation Cartier to the Museo Amparo in Puebla, Mexico and will be on view there until September 29. And her new film, Los rastreadores, premiered at the Cisneros Fontanals Art Foundation (CIFO) space in Miami on September 5. DEREK BERMEL (USA, 2007) has been appointed Artistic Director of the American Composers Orchestra. On April 4, the Brazilian soprano Luciana Souza performed Derek’s song cycle Mar de Setembro with the American Composers Orchestra at Zankel Hall (Carnegie Hall, New York, USA). The piece is based on the sensual poetry of the great Portuguese poet Eugénio de Andrade. EDUARDO KAC (Brazil>USA, 2002) will exhibit Aromapoetry in the exhibition Sensing the Futureat the Bauhaus Archiv Museum Fur Gestaltung in Berlin from October 7, 2014 through January 12, 2015. Aromapoetry consists entirely of olfactory compositions created by the artist. The Victoria and Albert Museum / London, the Spencer Art Museum / Kansas and the Museu de Arte do Rio / Brazil all recently acquired works by Kac. 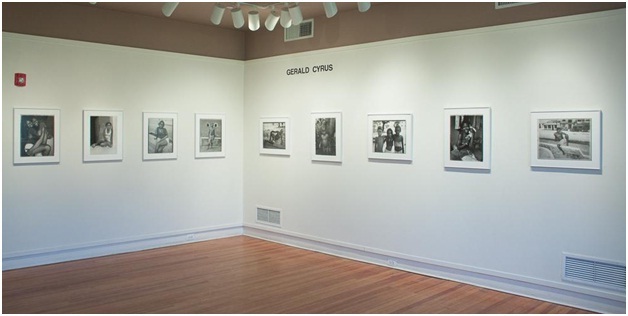 GERALD CYRUS (USA, 2002 and 2011) had an exhibition at the Allens Lane Art Center in Philadelphia from April 4 to April 25, where he showed the series of photographic portraits taken in Itaparica during his two residencies at Sacatar. JOSEPH CAVALIERI (USA, 2011) exhibits a stained glass window of Jackie Onassis at the Biennial of the Museum of Arts and Design in New York City, through October 12, as part of an exhibition that highlights artisans, artists and designers living in New York. Also screening at the Toronto Film Festival is the feature film Wild, starring Reese Witherspoon. CHERYL STRAYED (USA, 2003) produced this film, based on her best-selling memoir of the same name. 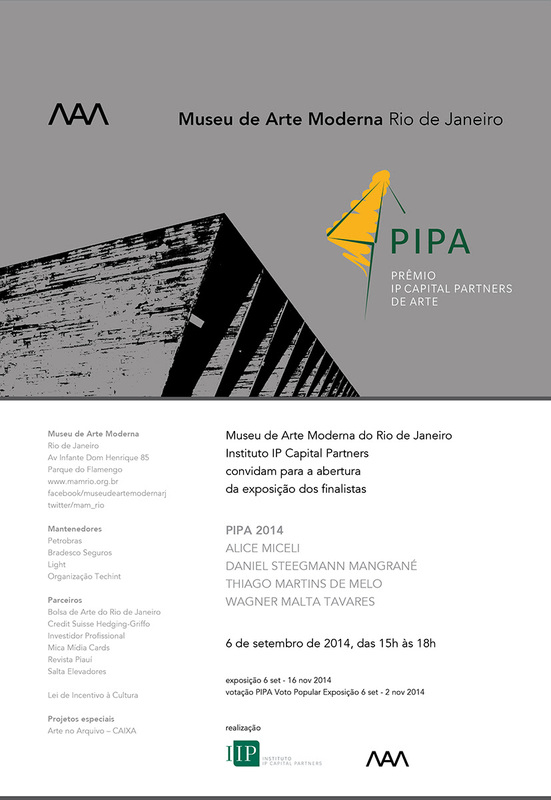 MARISTELA RIBEIRO (Brazil, 2007) recently completed a two-year project, Casas do Sertão. 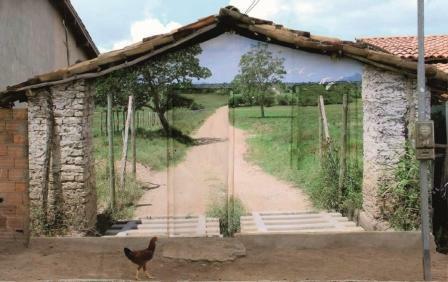 Working with the community of Morrinhos (400 inhabitants) in the remote desert of the state of Bahia, Maristela organized a wide variety of community activities (see links below) including the installation of photo-murals on homes in the village (see photo above). MARK STEVEN GREENFIELD (USA, 2013) has a retrospective of his work from 1974-2014 at the Cailfornia African American Museum in Los Angeles, California, USA. Entitled Lookin’ Back in Front of Me, the show runs from September 28, 2014 through April 5, 2015 and includes several works Mark produced while at Sacatar. MAYA WATANABE (Peru>Spain, 2012) screened the video installation, The Pendulum, at the Matadero in Madrid in March. The video installation takes sacred texts of the three main monotheistic religions as a point of departure to question how we narrate our identity. Maya edited this video while in residence at Sacatar. MIMI CHERONO NG’OK (Kenya, 2013) is one of three photographers featured in the exhibitionPeregrinate currently on view at the Goethe Institut in Johannesburg, South Africa, through September 19, 2014. REYNOLD REYNOLDS (USA, 2006) has a retrospective of his work, Reynold Reynolds: Six or Seven Pieces, at the Kunstpalais Erlangen in Germany from September 19 through November 16. The exhibition includes fourteen works by Reynold, including the seven channel installation of The Lost and the new 2014 work One Part Seven, which he made during his residency at the American Academy in Rome. In addition, Reynold will be artist in residence through the Roman J. Witts Residency at the University of Michigan, Ann Arbor, USA, from September through December of this year. 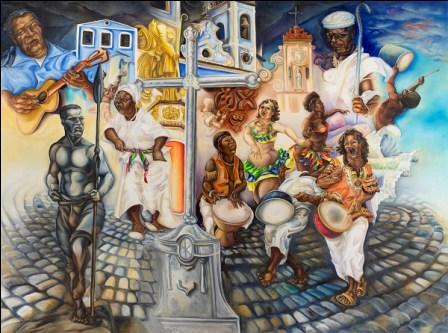 RIK FREEMAN (USA, 2011) has the piece Samba na Praia in the Bader Exhibit at The Katzen Center, American University. The Bader Fund is a Fellowship awarded to artists over the age of forty living within 150 miles of Washington, DC. Rik is one of seven artists awarded this honor. 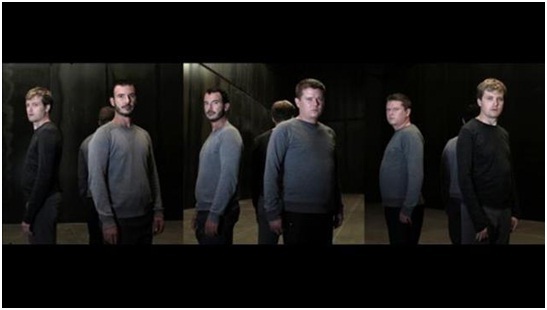 The exhibition features these artists over the thirteen year history of the Fund. The pieces Uma Canção para Pelo and Frutos do Mar are part of the East of the River show at Honfluer Gallery. All the pieces are inspired by Rik’s experiences in Itaparica, Bahia, during his Sacatar residency. 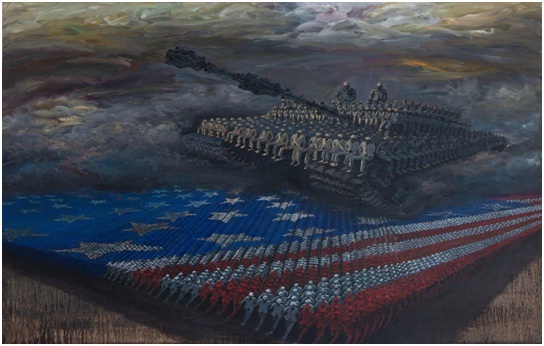 SOOK JIN JO (South Korea > USA, 2001 and 2007) exhibits Crossroads at the ARC, Gangjeong, South Korea from August 23 through September 28 as part of the 2014 Daegu Contemporary Art Festival. Sook Jin created this piece, with the participation of DEREK BERMEL (USA, 2007), during her most recent residency at Sacatar. 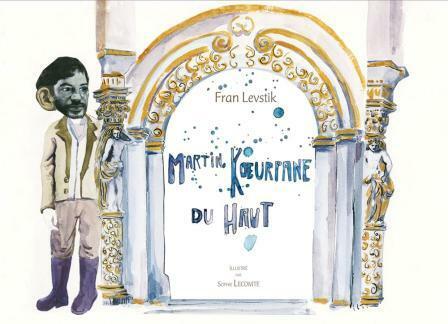 SOPHIE LECOMTE (France, 2004) recently illustrated Martin Kœurpane du Haut, the French translation of a Slovenian classic by Fran Levstik. YOKO INOUE (Japan > USA, 2011) will exhibit documentation about the interactive performance she did while in Itaparica. Crossing Brooklyn: Art from Bushwick, Bed-Stuy, and Beyond will present work by thirty-five Brooklyn-based artists or collectives, emphasizing artistic practices that engage with the world and have an impact beyond the studio and the museum. Yoko will exhibit documentation about her project Nós — a Portuguese word that means both ‘us’ and ‘ knots’ — in which she created a cloth chain in the central square of Itaparica by exchanging fragments of people’s clothing for scoops of ice-cream. The exhibition will run from October 3, 2014 through January 4, 2015 at the Brooklyn Museum of Art in New York.